Since our family appreciates many of the materials from Apologia Educational Ministries, we are affiliates with them. 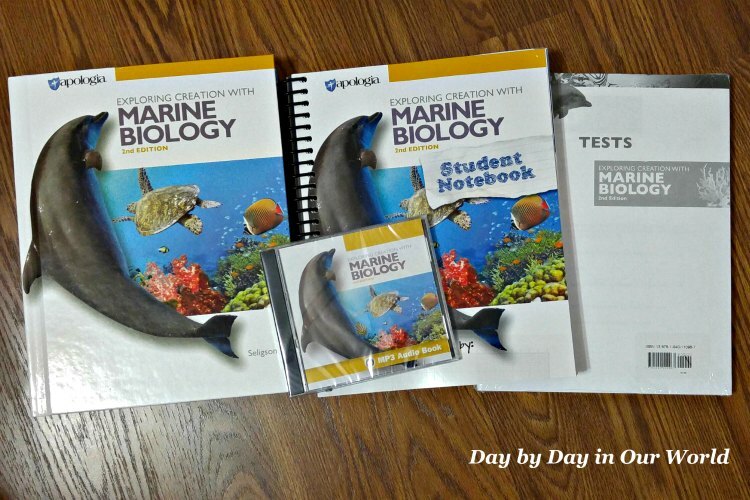 For the past weeks, we have been experiencing Homeschool Marine Biology from Apologia made possible with a copy Marine Biology 2nd Edition Advantage Set from Apologia Educational Ministries for review as part of the Homeschool Review Crew. We also received the Marine Biology 2nd Edition Audio CD, read by Marissa Leinart. While my boys are not as enthusiastic about biology, my husband and I love it. There is something wonderful about looking at God’s creation around us. And, as their parents, we have the gift of wisdom which comes from age so we know some things become more interesting with time. I’d heard wonderful things about the Marine Biology program from Apologia from a few homeschool students with a high-interest in this field. While I had biology courses in college, marine biology is not an area I truly explored. So, I was thrilled to have the opportunity to dig into the latest edition of this curriculum. 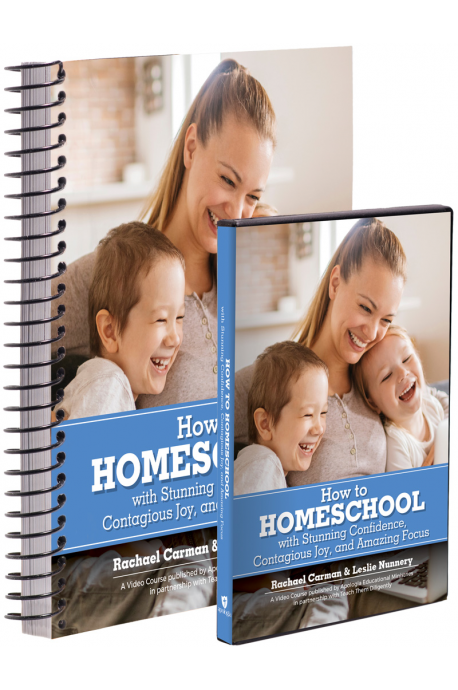 This curriculum is written by Sherri Seligson, a former homeschool mom with an extensive background in marine biology. 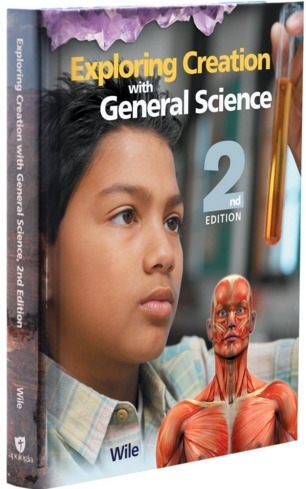 It is intended for high school students who have completed a high school biology program. Students use the slide set and dissection set in the lab sections of the course. The instructional DVD presents over 20 hours of instruction along with PowerPoint lectures and video presentations of every experiment. This course earns students two full semesters of high school credit. Using a 5 day per week schedule, a student finishes the material in under 180 days. Like other Apologia texts, Marine Biology presents material written in a conversational style. They do not assume that the homeschool parent has mastery of the material. Rather, the student is expected to work through the material in a more self-directed manner. The Softcover solutions-and-tests manual contains tests, test solutions, and answers to the module study guides. The “On Your Own” questions in each module have suggested answers in the textbook. The Student Notebook is made to guide them through the materials as they work through the course. Inside you will find a suggested course of study for the year. All assigned work, both written and laboratory, has space in the notebook. Fill in the blank module summary. Additionally, the back section is the laboratory notebook. This part has all the information needed to record lab work. 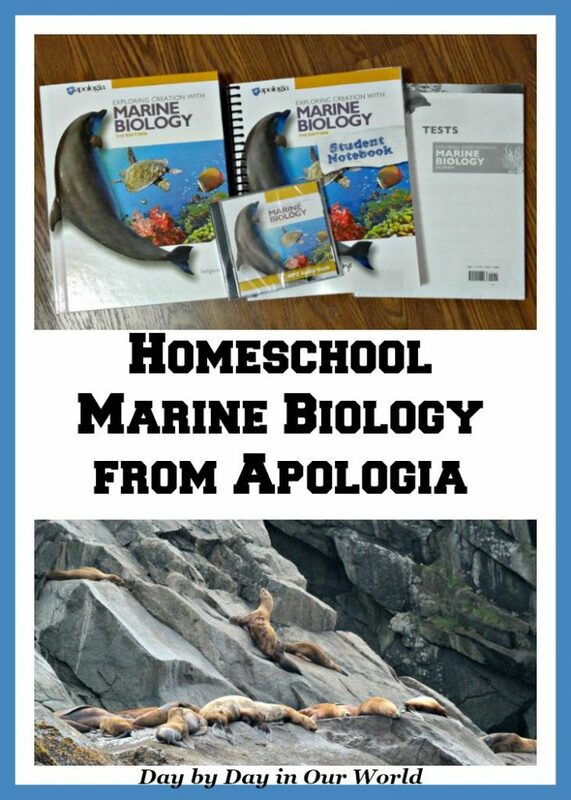 As I shared, this Homeschool Marine Biology from Apologia is for high school students with biology in their background. For the review, I was actually the primary reviewer. However, I did have my other boys involved at different stages of the review process. First, I had the privilege of meeting Sherri when Apologia came to Alaska a few years ago. As their designated blogger, I got some extra time with the speakers as I was given a room in the large home-like structure they had rented for accommodations. Secondly, my prior exposure to the field of marine biology was an internship right after college where I was focused more on chemical analysis. Working with professors and graduate students in the facility sparked an interest in learning more. However, I was already going into a graduate program which would focus on other avenues of science. Like any science program, I have found that reading through the material when your mind is fresh allows for better absorption. Additionally, using the Student Notebook helps to solidify what is being studied. If your student is not averse to the lab work, then you can really see things in action. I am seriously impressed with the material presented in this curriculum. Sherri breaks things down in a language a high school student can comprehend. And, if you work at the suggested pace, there is plenty of time to add some review time and really get things to stick. Even though the text is quite manageable, Apologia recognizes that many learners can benefit from having a recording of the text. 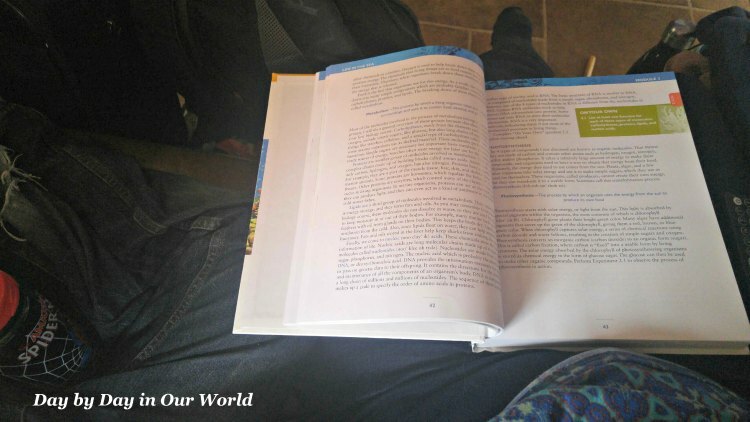 For part of the time, I sat with the textbook in front of me while listening to the mp3 recordings by Marissa Leinart. Even though I am a visual learner, I can see how this approach is beneficial for anyone. I tend to be a fast reader. Fast reading may seem like a bonus. However, it is a hindrance when it comes to retaining information. Ms. Leinart sets a pace in her reading which is perfect. It is neither too fast or too slow. And, taking notes while listening and looking at the text really helps with retention. For some students, discerning what is important and taking notes is a challenge. 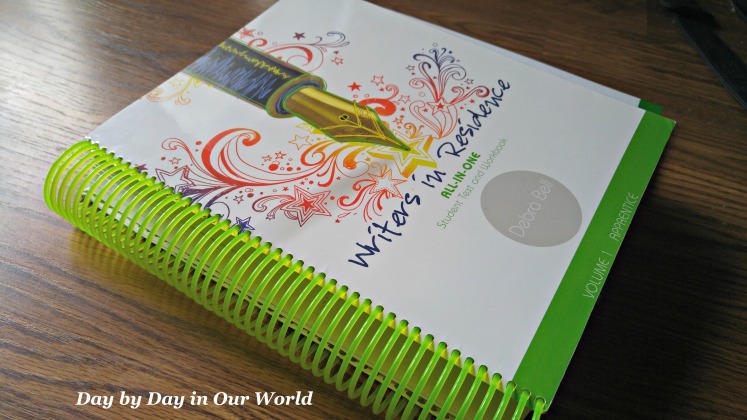 The Student Notebook is to be used alongside the text. This is another way to help with pulling key information out and synthesizing what you’ve learned. 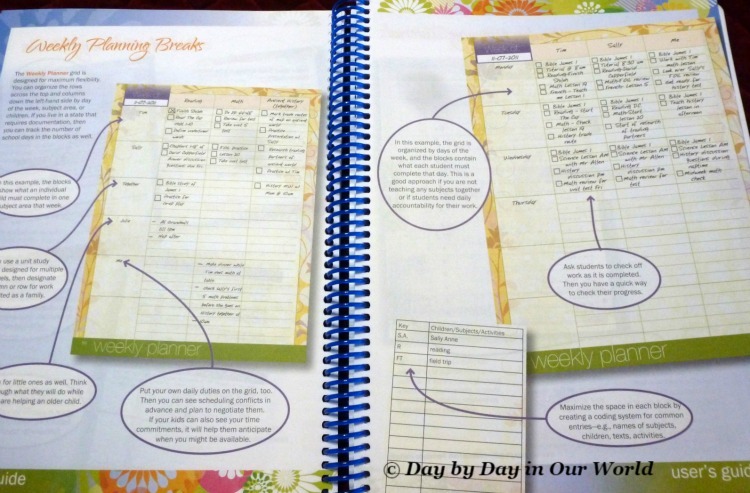 The Student Notebook is an ‘optional’ component of the program. However, I see it providing immense value to the homeschool parent. 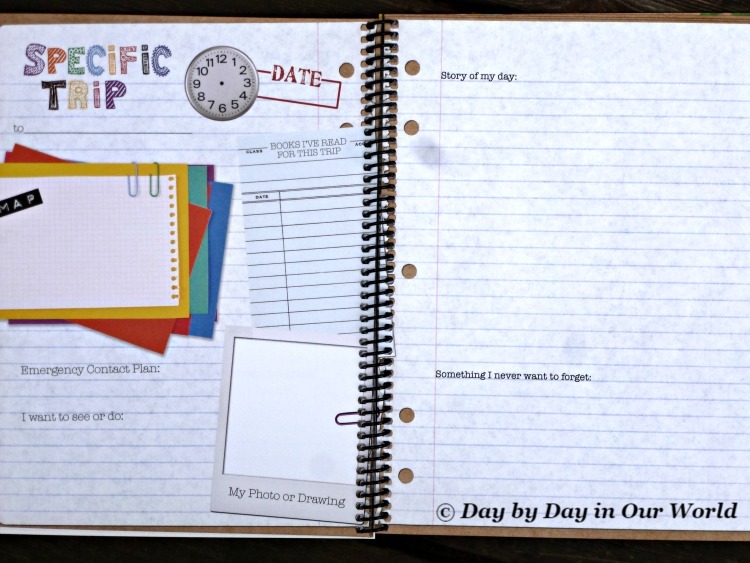 While you can make do with a plain notebook, using the Student Notebook keeps everything in one place. Other helpful features include a suggested grading guide for the parents and the course of study which spans 34 weeks. 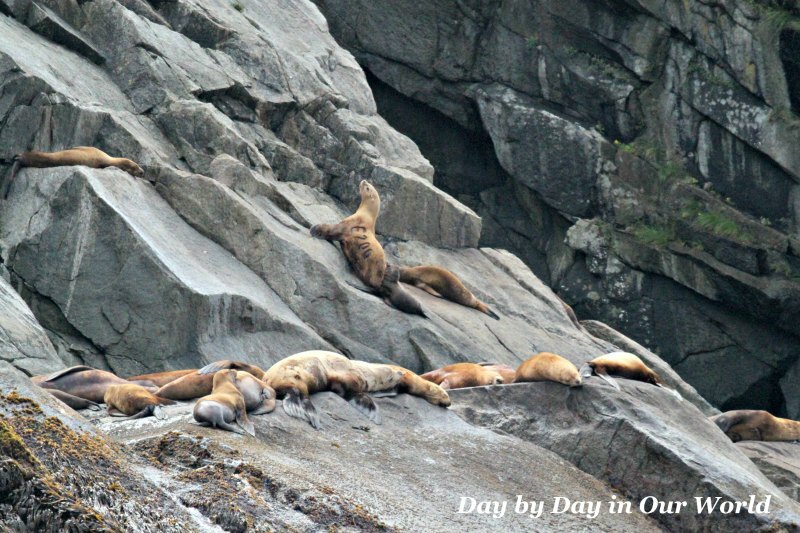 Right after we packed up the house in Alaska, our family took a glacier and wildlife cruise out of Seward, Alaska. This was on our bucket list for years. But, we had never splurged on the experience. Before the cruise, I read through portions of the text with my boys. We read sections that fit for some of the animals we could be fortunate to see. Having a little background before the cruise made it more enjoyable for all. Many thanks to Sherri for telling me which areas she would have someone read before that type of experience. This photo was taken by my husband with his distance lens. A separate post will be coming soon. I highly recommend any field trip experience that gets you more up close and personal with marine life. Many areas have an aquarium or a science center with a smaller area for marine life. If you have a student who is interested in marine biology, this curriculum is a great way to test the waters in high school. 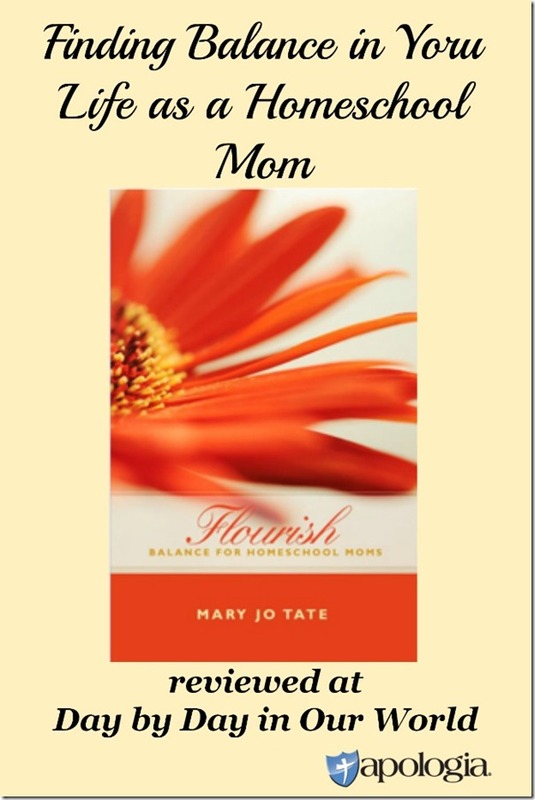 It is easy to use even when a parent has little or no knowledge of the subject matter. Although you can work through the program with just the textbook and solutions manual, adding other parts will make the process more enjoyable. I highly recommend getting the Advantage Set at a minimum. 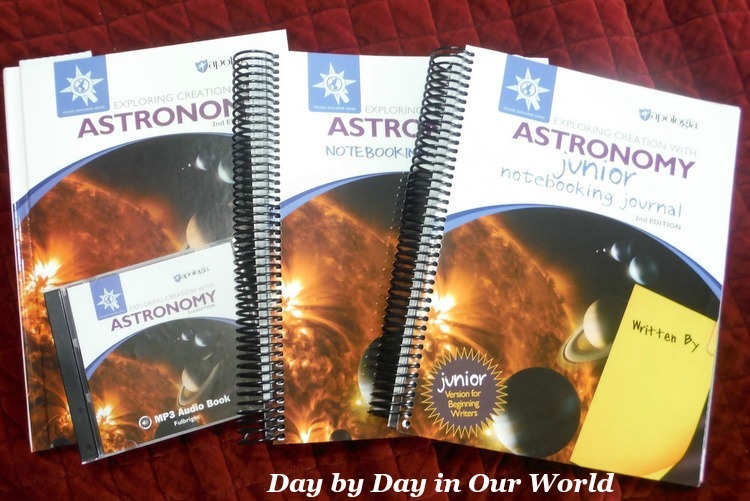 Ideally, the whole shebang (Super Set) will make this year of science a blast for your student. And don’t forget the slides and specimens for a full lab experience! 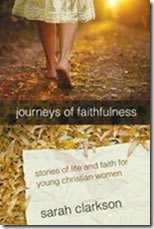 We’ve been privileged to have reviewed several different products from Apologia. Click the images below to read past reviews. Do you and your family enjoy science? Would this particular curriculum be appealing to someone in your family? Don’t just take my word for how we found this to be. 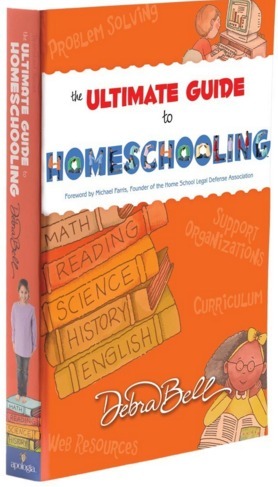 Visit Apologia Educational Ministries – Marine Bio review post on the Homeschool Review Crew website to see what other homeschooling parents thought about this book. Lisa, It was definitely a great experience for our family, even with 2 of us having motion sickness issues. There's also a wonderful Sea Life Center in Seward where you can see some marine life up close and learn more. We went there a few years back but didn't include it on the same day as the cruise. I need to get both the cruise and Sea Life Center posts written. Just not enough hours in the day to do all I'd like to do!